We are located in Pensacola Florida. Near one of the most whitest and beautiful beaches in the world, where beaches in summers are full of swimmers, surfers and sunbathers. Here you can learn about lifeguard training courses to become a professional lifeguard. There is a rising demand for lifeguards and a lot of companies offer employment through us. Many companies who hire lifeguards every year are on our portfolio, and you get hired as soon as you successfully complete your training. Lifeguard Training HQ is a great resource for lifeguard training courses. 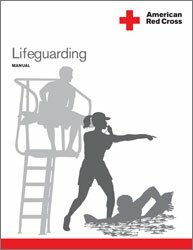 The information on the web about where and how to obtain certification for lifeguard training can be a bit scattered. We hope to bring all of this information to you in one helpful place. The courses and instructors you find here hold state attested certificates to coach and train you to become lifeguards. The trainers demonstrate rescue techniques and you practice these techniques to gain hands-on experience. The coaches not only follow the training curriculum but they also share real life experiences to prepare you to face unforeseen circumstances. When you are a lifeguard, you know what to do and how to act during the time of an emergency. At Lifeguard Training HQ, Pool and Beach Lifeguard Training offers you choices of many Training Programs and Certification Courses across the U.S.
A number of training programs last from 6 weeks to 2 years. All companies operating within California recognize our training courses. Our curriculum follows the standards of the International Lifeguard Association therefore, you may get a job anywhere in the world, if you attend an additional course accredited by the local government of that region. Our certificates are valid for two years after which you should take up a refresher program to stay updated about the latest rescue techniques and safety procedures.